GDay Nepal was a meetup for all business representatives and technology professionals to share information on Google for Business. It was daylong event and participants got to know about useful Google tools and various success stories from Nepal. The event also featured a Mobile App Expo where Android App Developers from Nepal would showcase their applications. There are plenty of opportunities to network as you get to meet people from both the IT industry and corporate sector. The theme of the event was: Connect. Inform. Inspire. Manager of Google Business Group, Nepal, Amit is also the CEO of Janaki Technology Pvt. Ltd. It is one of the leading Telecom VAS Providers in Nepal operating through its arms – Sparrow SMS and Picovico. Amit and his company have been significantly involved in regular tech events, developer meetups, hackathons, and workshops. Amit is an expert and a specialist in the field of Marketing, Business Planning, Project Management, Public Relations, SMS services and solutions. Reach him at @amitagrhere. 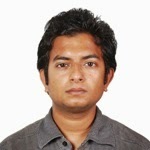 Dhruba is the Product Director at Picovico where he takes care of product design, development and user experience. He is also the CTO at Janaki Technology Pvt. Ltd. You can reach him at @acpmasquerade. Co-founder of GBG Kathmandu, Bhupal Sapkota, founder of AppsJhola, Online Baghchal, head of technology at Semicolon Developers Network Pvt. Ltd, his primary work areas are building architectures of web and android applications. 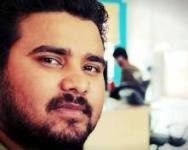 He founded GDG Kathmandu on 2011. Working with local startups, inventing tech products and facilitating young entrepreneurs with an aim to foster overall IT ecosystem of Nepal are his fuels. Reach him at +Bhupal Sapkota . He is the co-founder of Birthday Forest which helps people to plant trees in community forest. He have been develops and speaks on Android app developer. Ghimire also facilitates app development trainings and have been providing trainings in different colleges and institute. Being a Digital Media Strategist at Picovico, Shilpa looks after brand's online presence through Social Media Management, Community Building and Media Outreach. Reach her at @shilpa_modi. 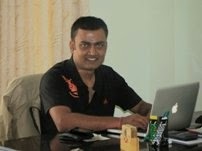 He is the Business Development Head at mytrip2nepal.com,Nepal first and largest Online Travel Portal. A generalist in nature who believe in Excellence and Integrity. He have been actively involved in other businesses Ventures like ImanaPay - Online Payment Gateway. Loves to travel and meet different people. 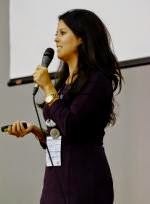 A marketing enthusiastic with a core passion in service sector. Member of Startup Grind, Kathmandu. 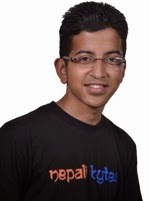 Monil is also the Community Architect at Nepalibytes.com​ a common place for writers , readers and publishers to Nepali language and literature no matter where you are in the world with Nepali Bytes​ . 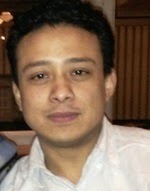 Manoj Ghimire is co-founder of nLocate.com. nLocate.com is rethinking the local search problem where users search directly by product/service name instead of business-name or business-category. He believes in value creation through a cohesive team where everyone believes in the mission. 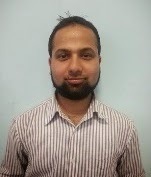 Manoj is part-time Lecturer at IOE Pulchowk where he teaches "Data Mining" and blogs. Reach him at manojghimire. Anish Shrestha is co-founder at Yellow Nepal: restaurants, food deals & food menu search service in Nepal (http://yellownepal.co). Software Engineer by profession he has worked as Senior software engineer in F1Soft International for 3 years. He is highly passionate about tech startup and entrepreneurship in Nepal and can be found in internet with @aniXification. Co-organizer of the StartupWeekend in Nepal, Hempal is a tech enthusiast and actively involved in various social and tech ventures of Entrepreneurship, Education, Open Source, Open Content and Technology integration. 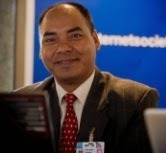 He is also a visiting faculty and teaches Information Technology and Intellectual Properties in Nepal. Reach him at @hempal. 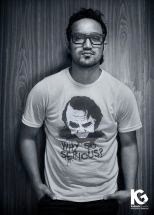 He is working as Marketing Executive at Focusone Payment Solutions Pvt. Ltd. Subhash oversees different aspect of marketing and communication and specialize in merchants integration. IHe is also a photography enthusiast. 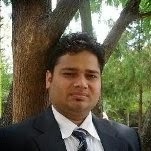 Keshav works as R&D Director at WorldLink Communications Pvt. Ltd. He is co-developer of Nepali Patro, Android Application (500,000-1,000,000 Installs) which is one of the most popular android app among Nepalese worldwide. He enjoys contributing to Google Maps through Google MapMaker and have done very dedicated level contribution to improve Google Maps of Nepal.